Students are usually looking for an internship experience that will give them practical knowledge in their chosen field of study. Medical students usually look for work in a lab and law students usually apply for internships at law offices. While this is a good idea for many students, having a more general internship will prepare you for a vast array of different career choices and provide you with basic skills that will prove very beneficial no matter what career you pursue. What type of internship experience do you look out for when searching for I.T placement? 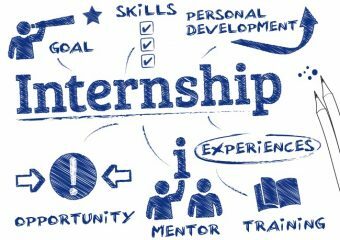 An internship experience that teaches you an array of valuable skills will be helpful no matter what course you’re currently studying or what type of job you plan on applying for after graduation. But remember, getting an internship experience in a more general field would also prove beneficial. In fact, an internship that will teach you important skills is what you need. OR an internship that allow you to develop existing skills as this may be more helpful in the long run. You will surely get the proper training and experience in your respective field of study. Having an internship experience that gives you the opportunity to learn new skills will be beneficial in your future career. If you can go into your job with these skills, you will surely stand out from the competition. Organizations often under utilize their interns to a great degree. An internship experience that only give you the opportunity to file documents all day is something you should avoid. You’ll not learn much from getting coffee for a law office, or filing papers and reports for a lab. This is almost a waste of time. Even if you want to pursue a job in the same field as the office or lab you file papers. Filing can be done anywhere, even at home. So, getting filing experience in a lab is no different than filing in a library. You should look for an internship opportunities that gives you a real chance at bettering yourself as an individual. When you go on job interviews, employers will be looking for things other than grades and where your internships were. They will be evaluating your capacity to lead and learn new skills quickly. Students who are given the chance to develop their leadership skills will be a step ahead of their peers in that department. Working in an environment that promotes development is a tremendous opportunity. Whether it is in an internship, part-time job or full-time job. Getting to intern with a company that uses their interns to a great degree and gives them added responsibility can be a huge asset to you – the intern student. This type of internship experience prepare you for the real world.